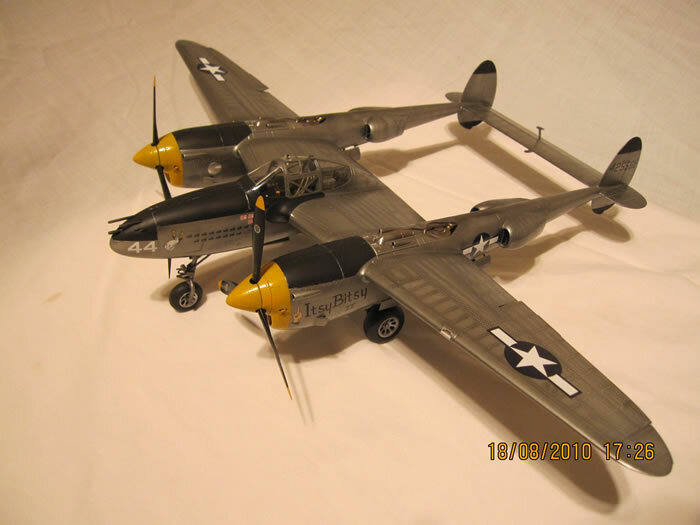 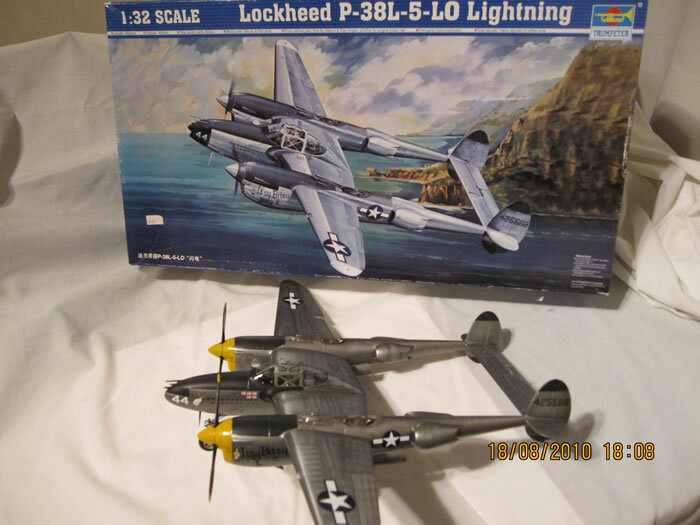 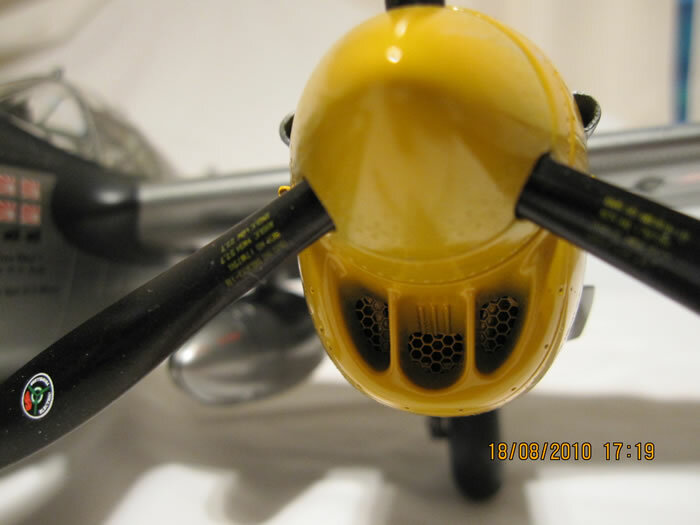 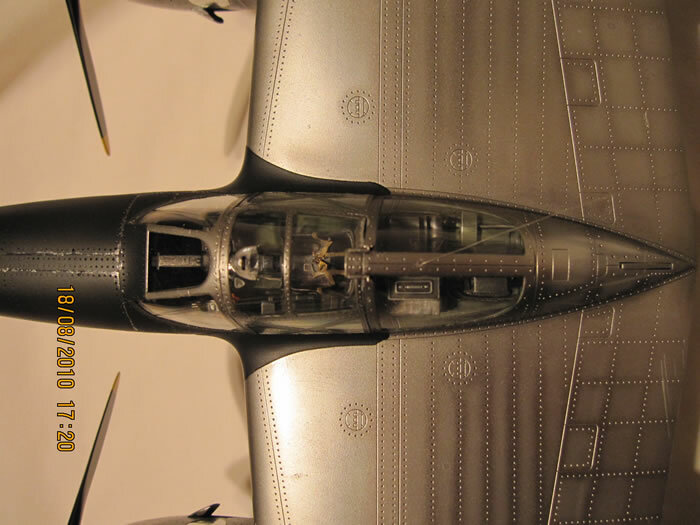 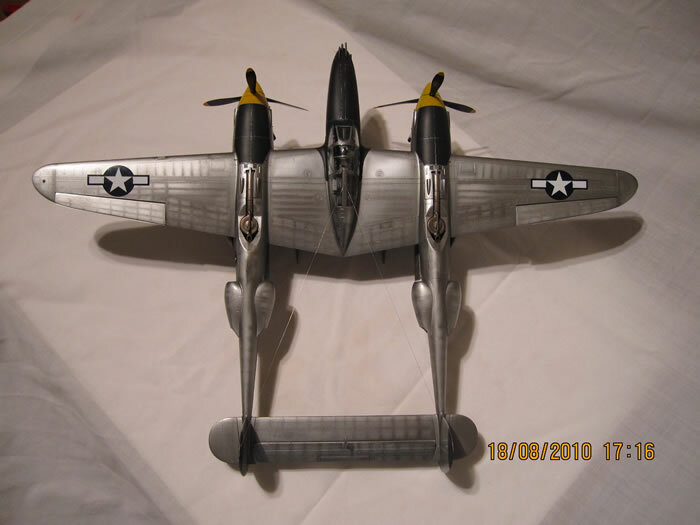 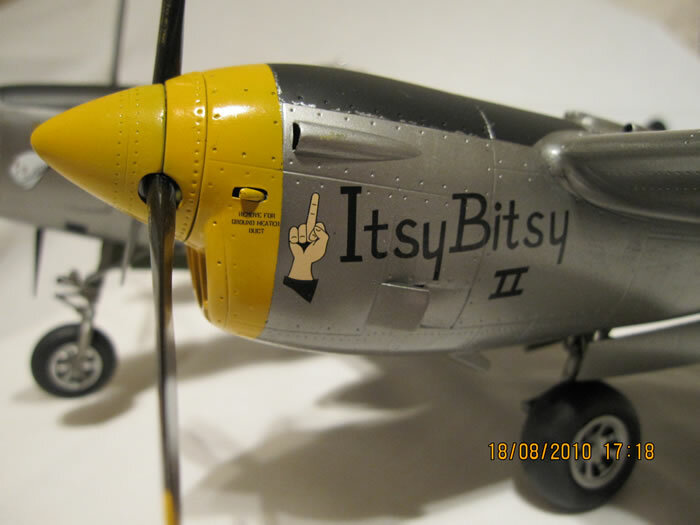 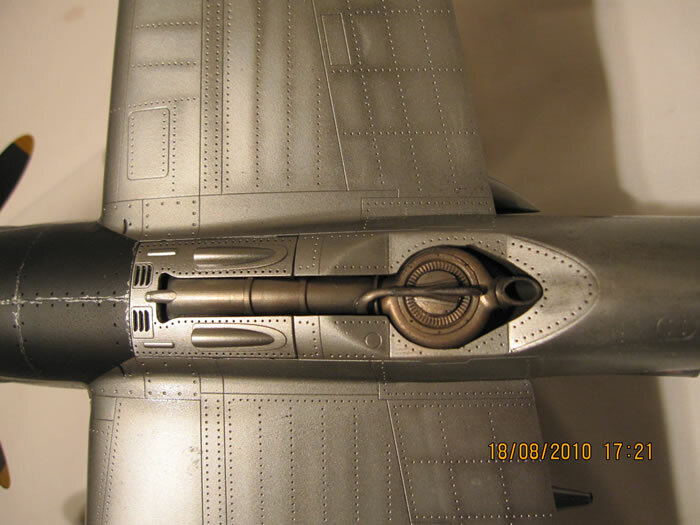 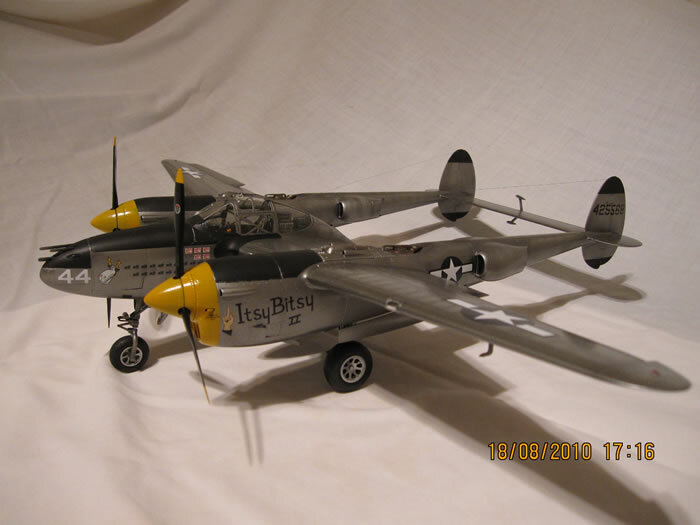 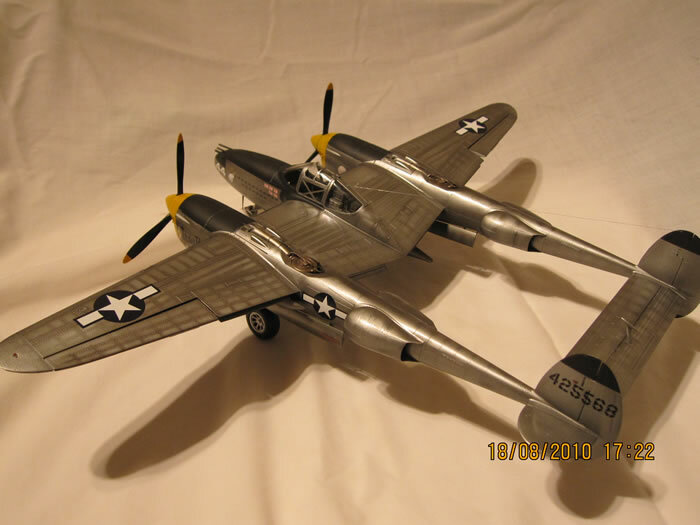 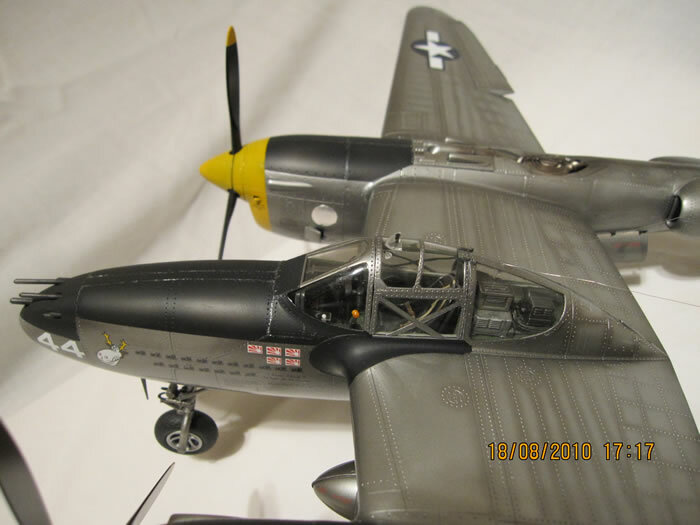 Here are a few pics of my 1/32 scale Trumpeter P-38L Lightning that I built recently. 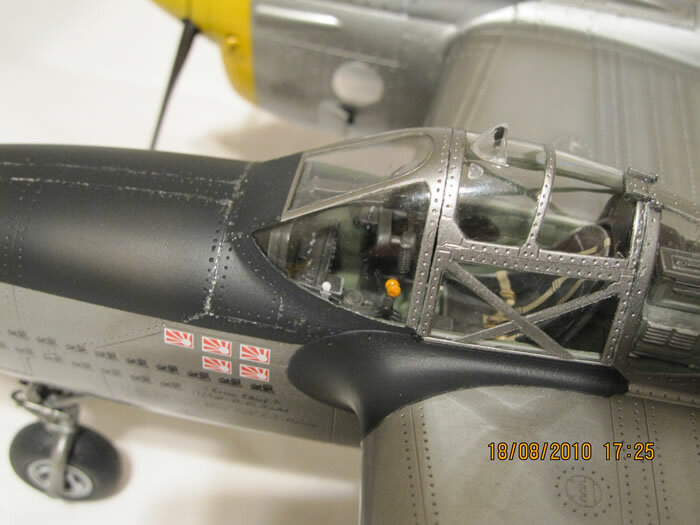 The model was a real head twister but I hung in there and am glad I did as it is a nice model once finished. 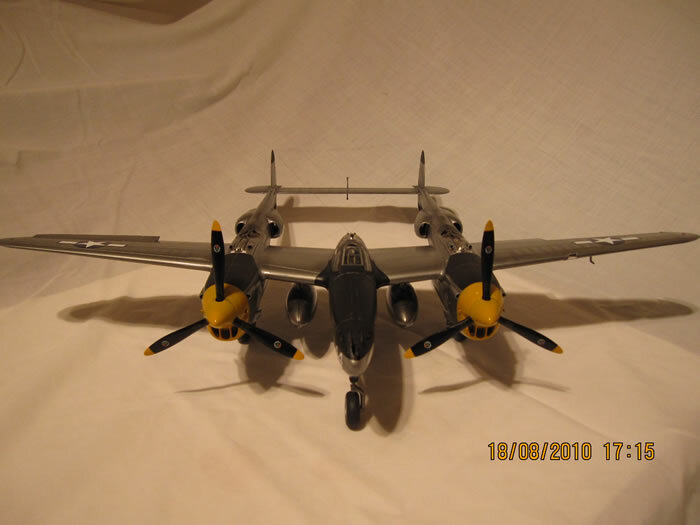 I built it over a period of about three months and 100 plus hours.